Topic: Robert Downey Jr. Success!!!!!! Re: Robert Downey Jr. Success!!!!!! Look up autopen machine. Just because we want it to be real doesn't make it so. I don't think he signs photos. Would be nice if they said right out to us what he doesn't sign. I'm wondering if this is worth submitting to JSA to get authenticated. Please let me know what you all think regarding authenticity. Topic: Pele autographed "Why Soccer Matters" signed edition $80!!! Pele autographed "Why Soccer Matters" signed edition $80!!! Looking to sell my copies of Pele's newest book signed on his book tour. Looking for $80 obo. Please pm me with any questions at all. 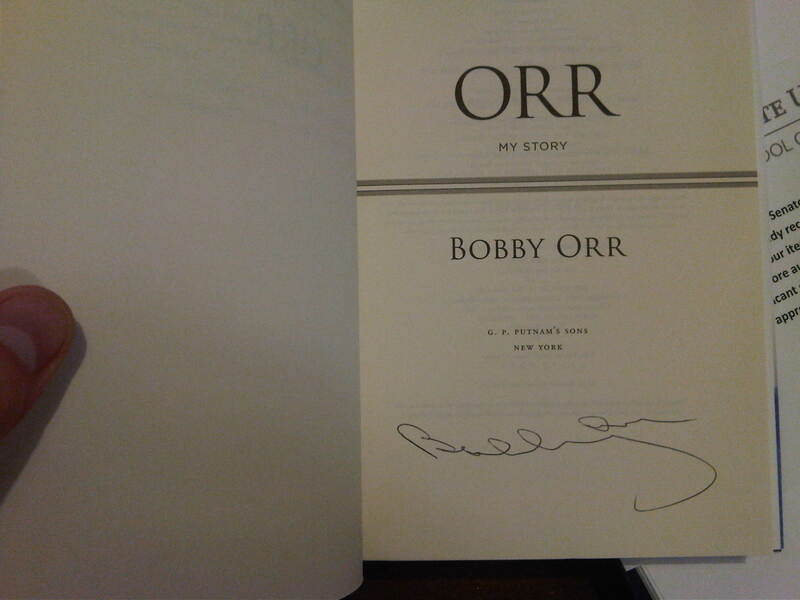 Purchased a few of these books, very difficult signature to get without being personalized. Please pm me if interested. I'm looking for $50 per book obo. I would appreciate comments on authenticity as I wouldn't want to believe it to be real and waste my time sending to her. Comments should always be welcome or you should not be posting. When you want to believe something is real because you bought it it's tough to listen to peoples opinions. This does not look anything like an authentic signature.